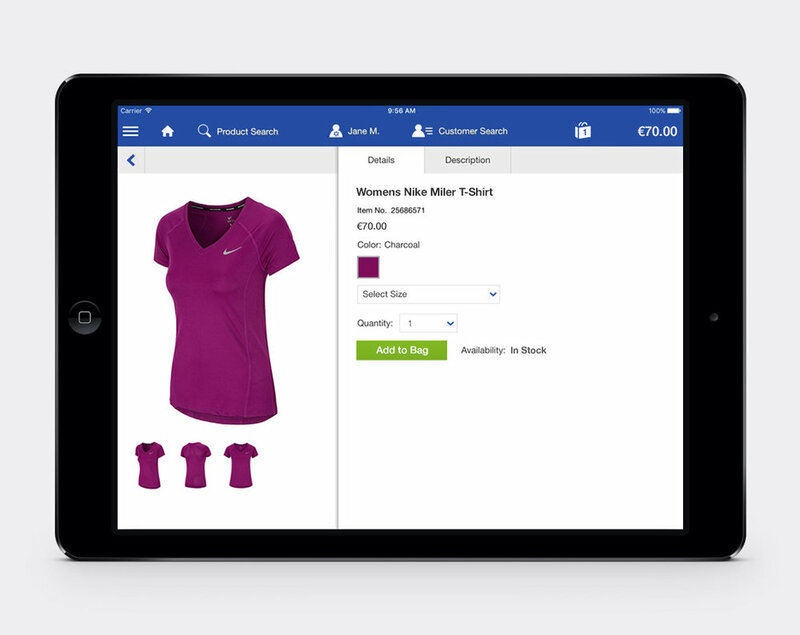 Full UX and Salesforce Commerce Cloud replatform plus in-store iPads powered by Endless Aisle. Life Style Sports are Ireland’s leading sportswear retailer with 53 stores across the country and over 35 years history. Life Style Sports were on the ageing Venda platform, which was no longer able to support their ambitious plans for growth. 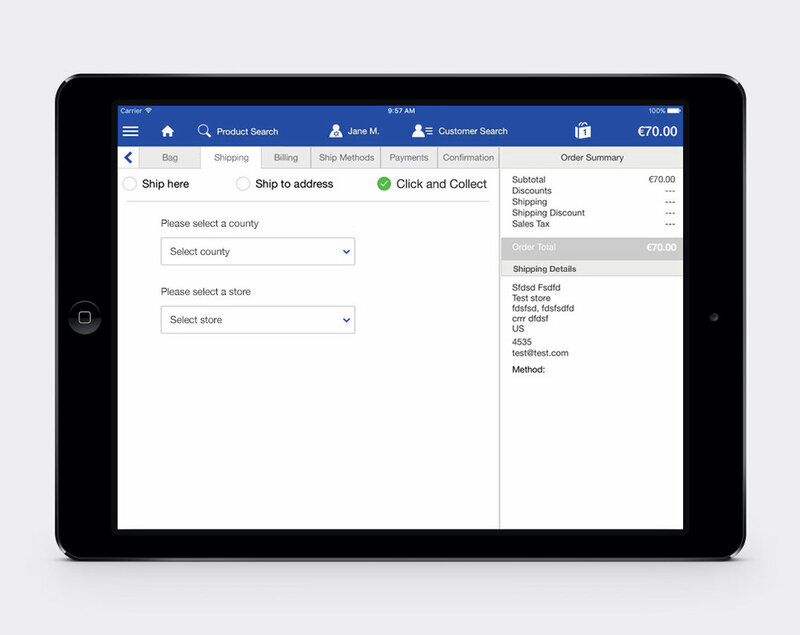 Following a pitch, Blueleaf were awarded the contract to replatform their site onto Salesforce Commerce Cloud, chosen by the client for its impressive feature set, innovations roadmap and also for their in-store tablet solution Endless Aisle. This project was part of a significant change programme across the business. The project began with a detailed discovery session to gather requirements from all relevant stakeholders. We’d previously worked with Life Style Sports on UX and functionality improvements on their old Venda site, so there was much good work there to carry across to Commerce Cloud. We identified what we wanted to keep and areas for improvement, to ensure that the UX would receive a further boost during the replatform process, improving conversion. Following this, we implemented a full front end rebuild, focused on bringing the new UX to life and also on site speed, critical for a young target audience massively focused on mobile. This meant achieving the right balance of a bespoke front end, but based on the Commerce Cloud reference site, Site Genesis for speed and efficiency. We also implemented jersey personalisation (allowing customers to add their chosen name to the back of a sports jersey) and Einstein recommendations ensuring that customers are always being shown relevant products in their shopping journey. Behind the scenes, order management functionality was provided via Customer Service Center (SCS) customisations inside the Business Manager. 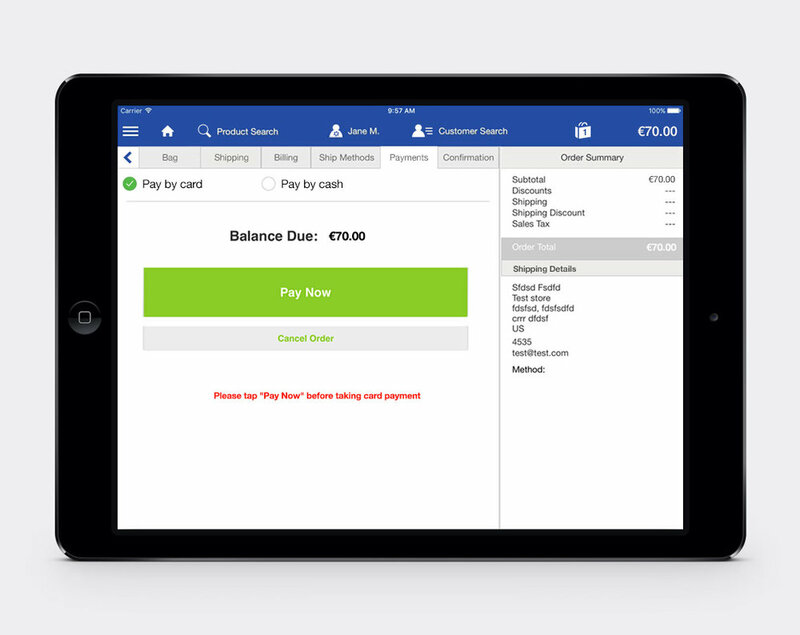 This allows for order cancellations, returns and refunds directly back to their payment provider, Adyen. This provided the client with enough functionality to manage orders through CSC, without having to change their backend processes. We also connected to Life Style Sports’ middleware provider Xiatech through the service and job frameworks. The web solution is also used on large in-store kiosks (Microsoft Surface screens) to give a great user experience. We added a new payment method enabling payment devices to be attached to the kiosks for an entirely self-service in-store experience. 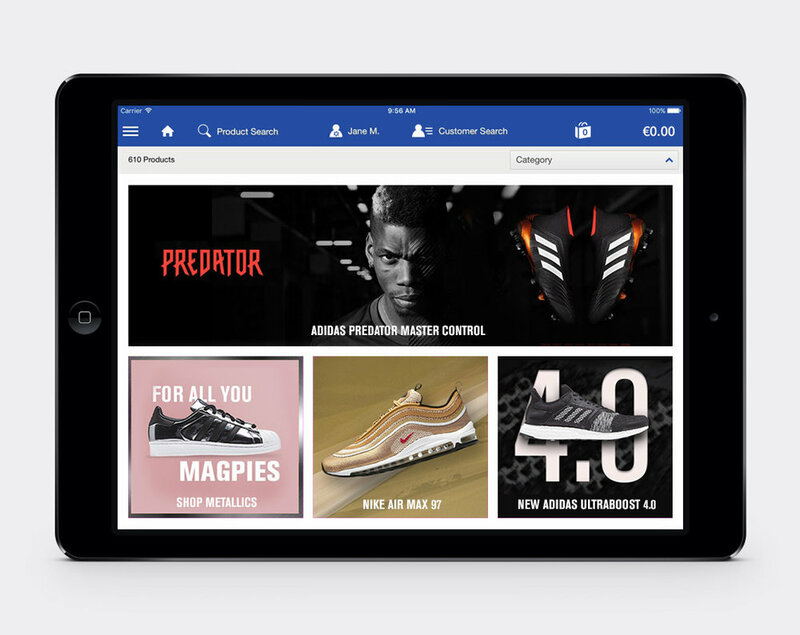 With the move from Venda, Life Style Sports also needed to migrate their in-store tablets to Commerce Cloud’s Endless Aisle solution. They have over 100 iPads in their stores, used by sales assistants to help customers place orders for items that may be out of stock in-store. Endless Aisle allows Life Style Sports’ full catalogue to be available in every store and reuses the sorting rules from the ecommerce site for categories, meaning that merchandising can be done in a single place by the client’s teams. Reducing business disruption to an absolute minimum was critical. Life Style Sports take a lot of revenue through this channel, so there could be little to no interruption with this migration and the new Endless Aisle solution had to use existing hardware and payment devices, ideally without any need to recall devices from the stores to head office to set them up. For this reason, we stuck closely to the Endless Aisle reference application, doing only a light front end brand reskin of logo, fonts, colours etc. We did make some critical customisations. 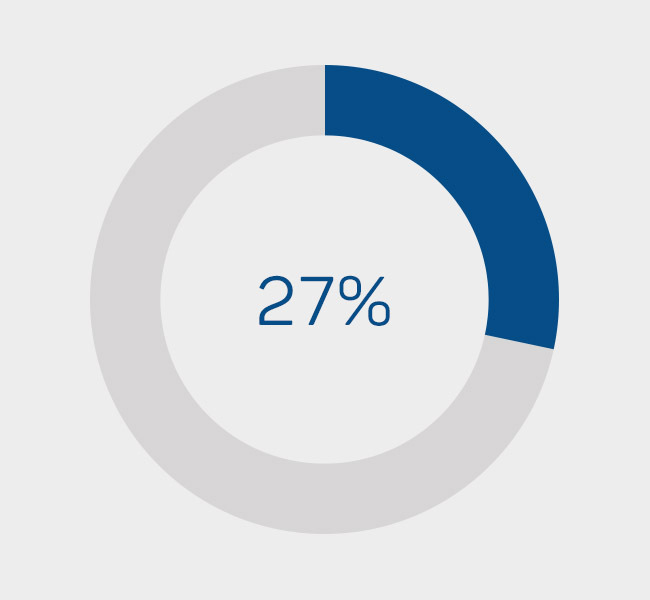 For example, over 70% of in-store transactions are still made with cash in some Irish stores, making cash payment implementation with POS essential. Blueleaf worked closely with the Salesforce Professional Services team to help mitigate the risks of onboarding Endless Aisle, due to their deep experience of the product. We also worked closely with Adyen on maintaining the use of Life Style Sports’ existing payment devices, setting the correct firmware versions to be stable and reliable. The new system was very well received by store staff as it now offers them new functionality such as basket recovery, customer lookup, order history and account creation, all enhancing customer experience and their ability to sell. 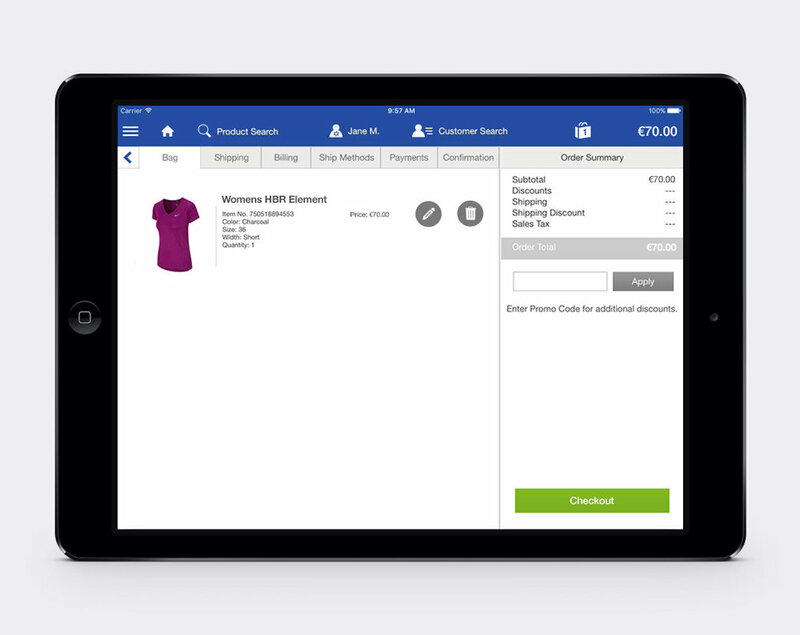 It’s worth mentioning that both the Commerce Cloud ecommerce site and Endless Aisle in-store tablet projects were successfully launched and taking revenue within a 6 month timeframe.